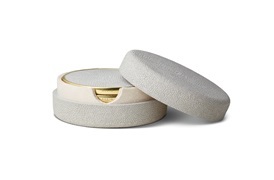 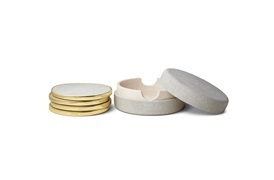 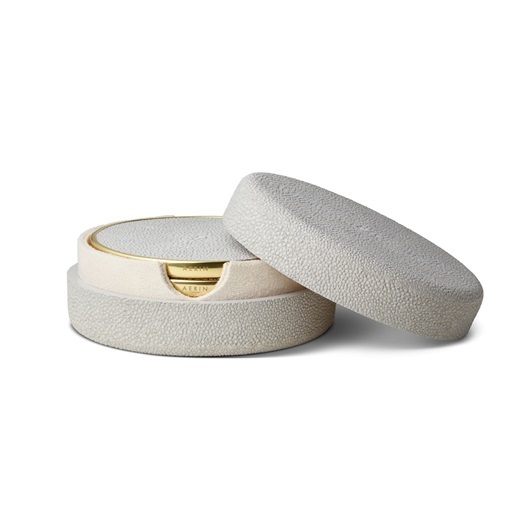 These shagreen-covered coasters with a suede underside are ringed in rich gold-toned brass. 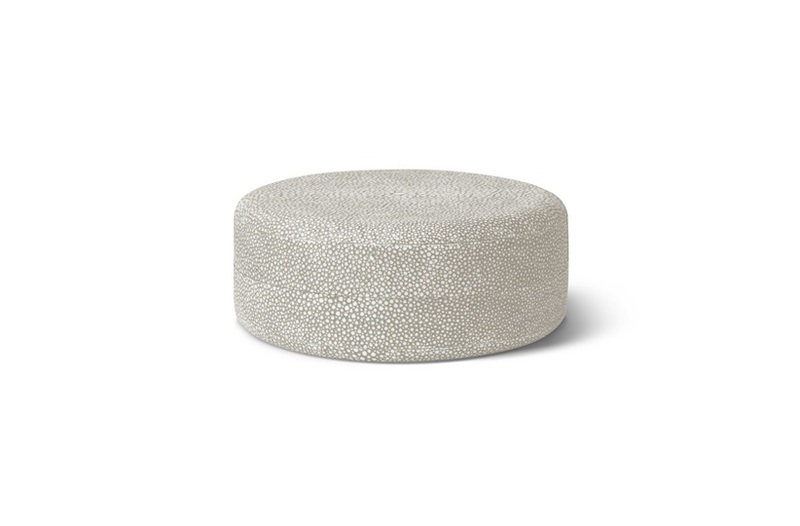 Use them to add a touch of glamour to entertaining. 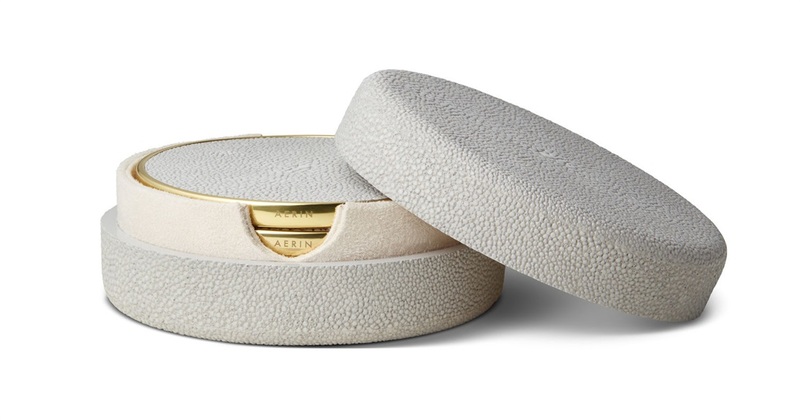 The set comes in a shagreen box.